The directions on most line cleaners call for recirculating the cleaner for some period of time. Most affordable cleaning setups that are out there include a hand pump. Operating one of those for 15 to 30 minutes, for each faucet, doesn’t sound fun. 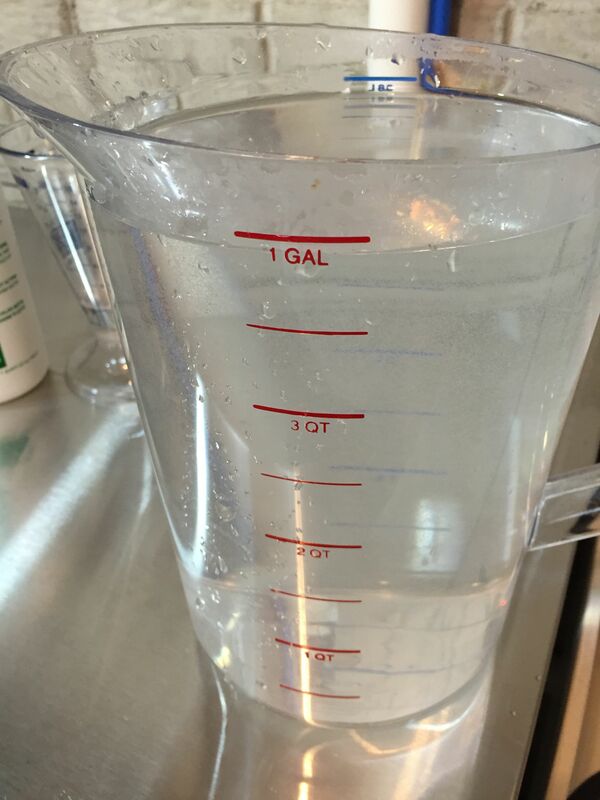 To really clean your draft lines, you need to keep solution flowing for a length of time, not just fill and wait. 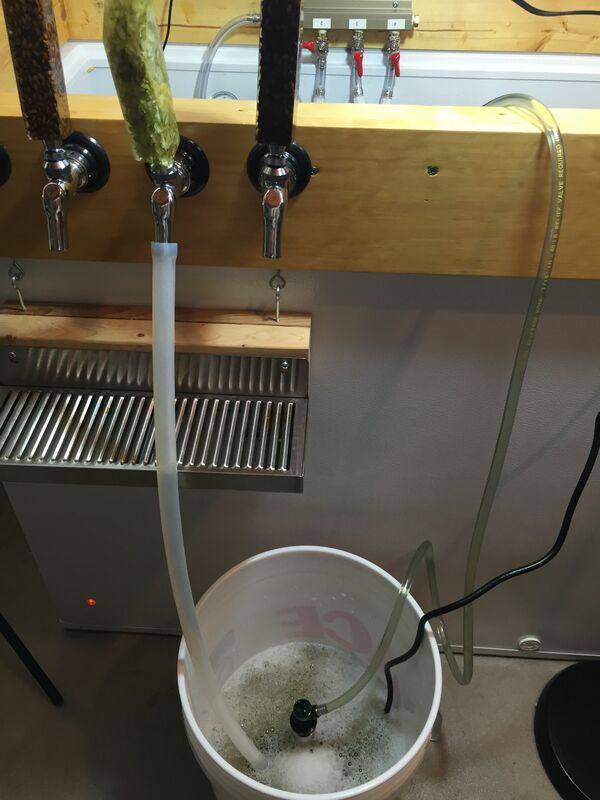 Initially I tried to clean my system by pushing line cleaner out of a keg. This was a waste of CO2. I also found it tough to keep solution running slowly enough to get the required amount of contact time. 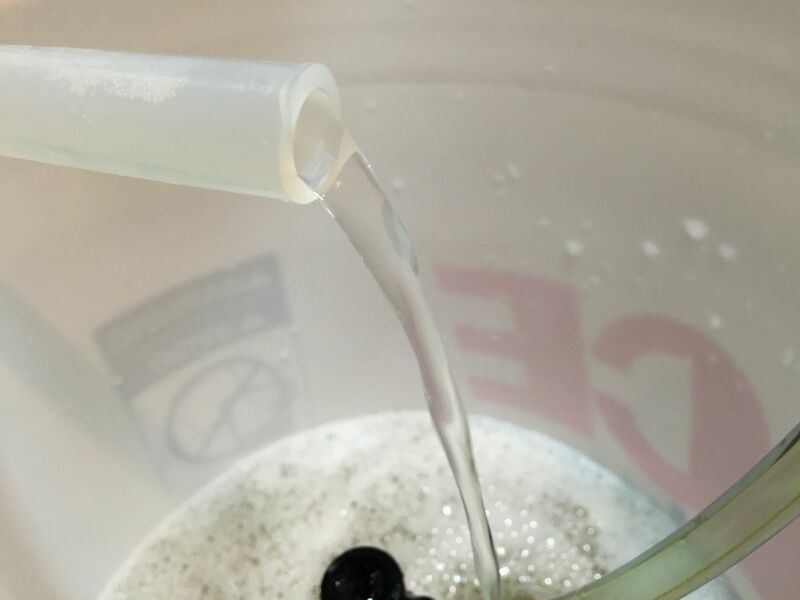 It’s easy to quickly push a cleaning or sanitizing solution through your system under CO2 pressure, but I found it to be a pain to try to do so slowly. 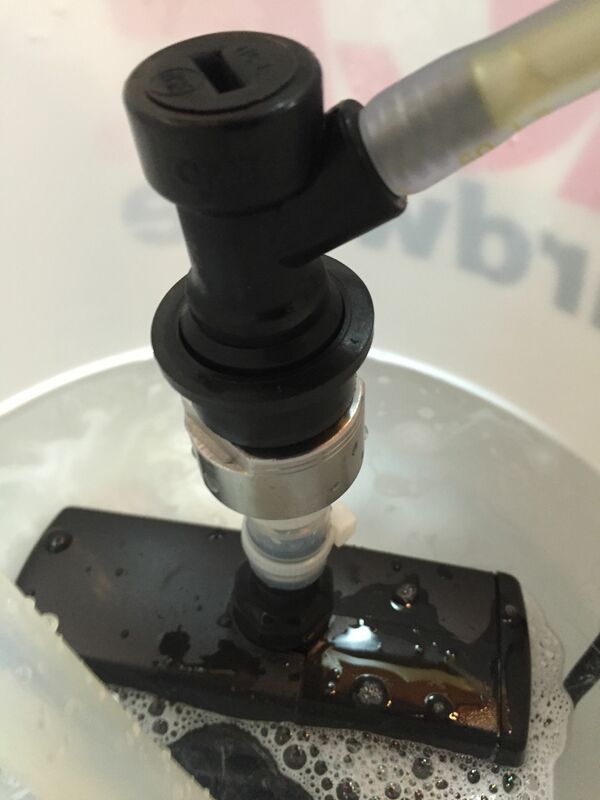 This also requires quite a bit of cleaning solution versus a recirculating pump. 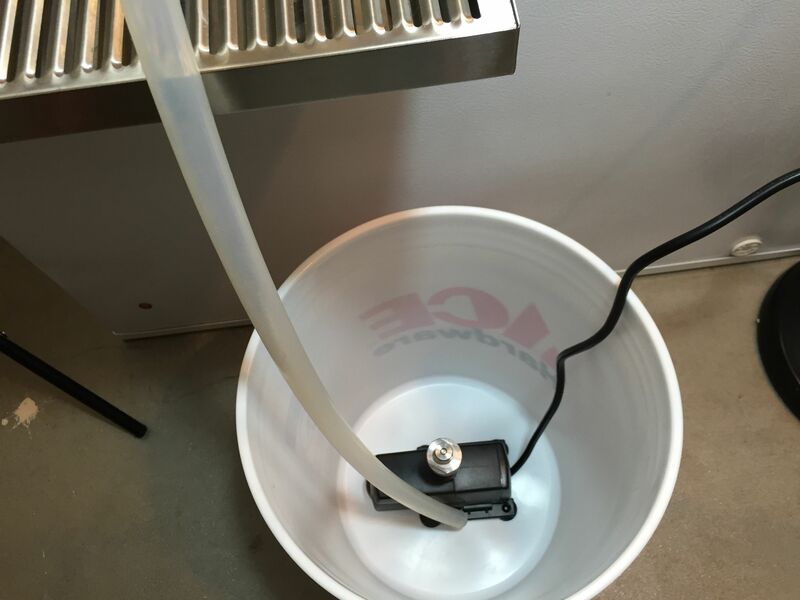 I decided to put together a recirculating draft line cleaning pump setup. Note: This is an update to a build I put together in 2012. The purpose of this re-design was to reduce overall costs and, in response to comments received, increase the flow rate of the setup. A link v1 can be found toward the end of this post. The Pump. 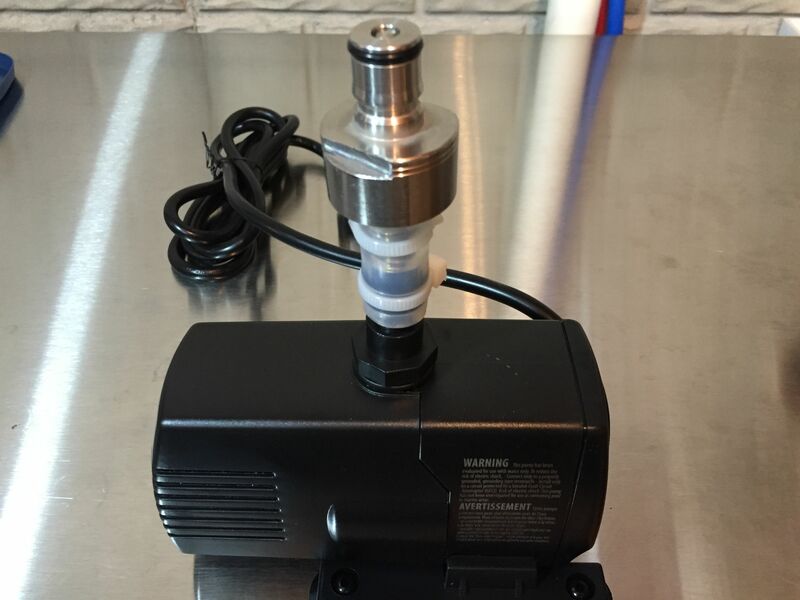 I have a utility pump that I use for various tasks around brewery. I decided that that pump was too powerful. I didn’t want to deal with foaming issues that I thought may be caused by the high flow this pump would produce. I wanted something with less power that could slowly circulate liquid through draft lines. Version 1 of this build used the EcoPlus-132 Submersible Pump. That pump moved a steady stream that I was happy with. Still, the top critical feedback I received back about that setup were complaints about flow rate. 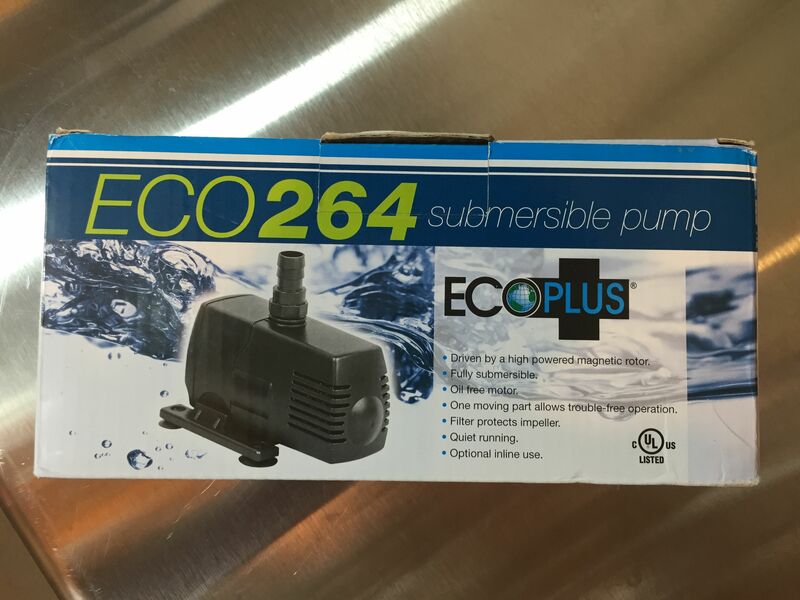 For this build, I went to the EcoPlus-264 Submersible Pump. That provides more than double the stated flow rate (290 GPH vs 132 GPH) compared to the original pump. Here’s what you get. 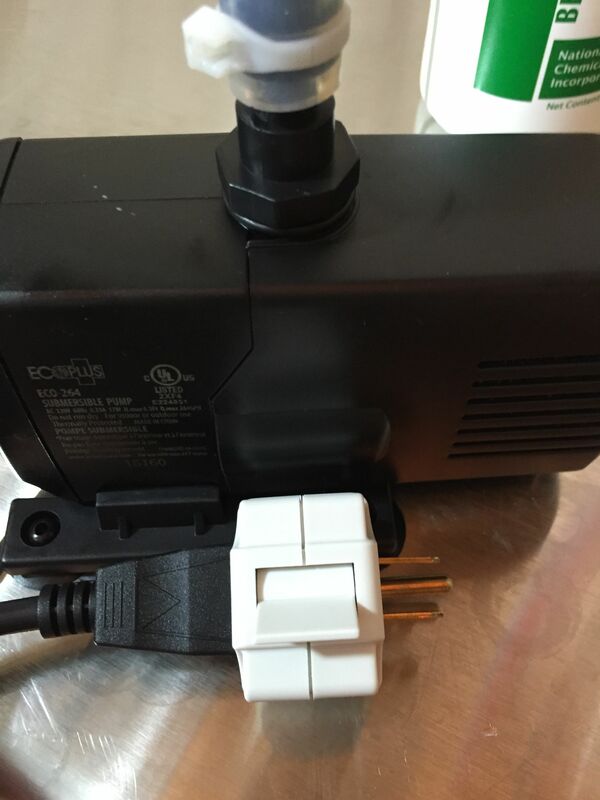 The pump, a removable suction cup base and an assortment of connection options. 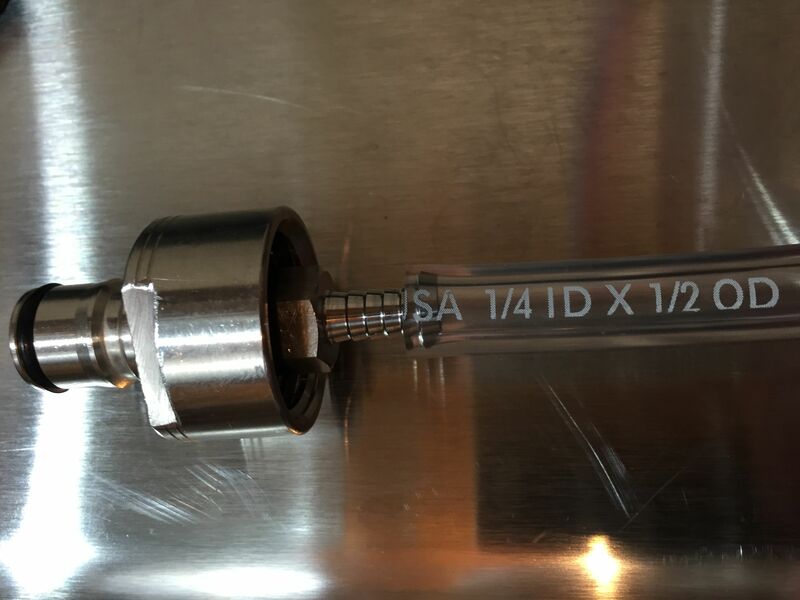 For v2, I wanted to employ a stainless steel carbonation cap with dip tube (see below for links). Using this eliminates a good number of fittings compared to v1, some complexity and a good bit of cost. This carbonator cap has a couple unique features… First, it has a 5/16″ ID barb on the inside. Second, it’s designed in such a way as to work with either liquid or gas ball lock QDs. Typically carbonator caps would just work with gas QDs. The fact that this also works well with liquid QDs makes it perfect for this application. A carbonator cap would typically work with a gas QD and this does. However, it also works (easily) with a liquid QD. This is an important feature for this build. 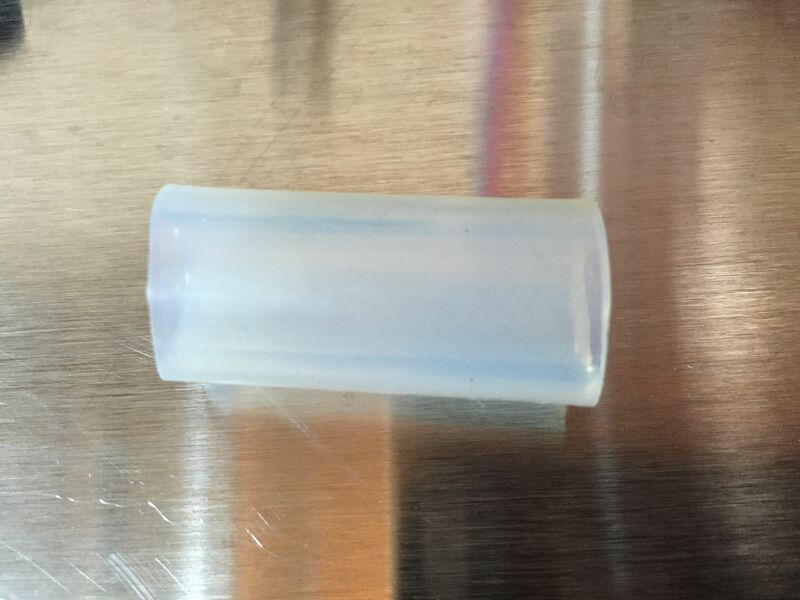 1/4″ ID x 1/2″ OD tubing fits perfectly on the barb. The pump assembly in the bottom of a 5 gallon bucket. This bucket acts as a reservoir for BLC, Water and Star San. The only thing that’s left is routing the faucet discharge back to the recirculation bucket. I’ve found 1/2″ ID Silicone tubing works great for this. The silicone is stretchy enough to easily fit on my Perlick faucets. You really only need 2 or 3 feet, just enough to get from the faucet down to the reservoir bucket. Of course, you can use any size ID/length of tubing that works well for your setup. This is an initial test of the tubing/ss carb cap assembly. The pump is powered on with the faucet closed. That puts pressure on the assembly. Mine did not leak. I’m using zip ties. Tubing clamps will make this setup even more solid. The entire setup in operation. The bucket contains BLC solution. My ball lock beer line and QD connect to the SS carb cap assembly. The pump moves solution through the ball lock QD, beer line, shank and faucet. 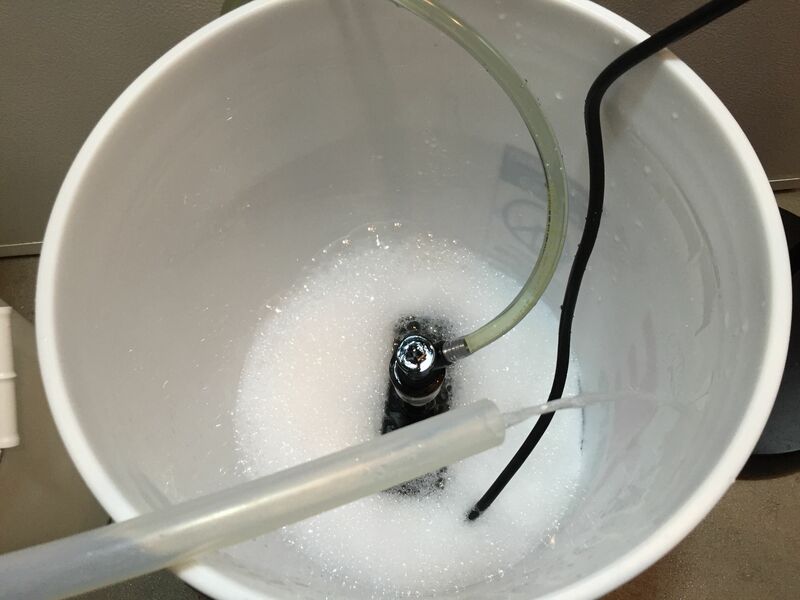 Solution is returned to the bucket via the silicone tubing. A closer look at the bucket. I generally recirculate for 15 to 20 minutes per faucet. Here’s a picture to give you an idea about flow rate. This is going to vary based on how much tubing you’re using, how much solution you have in your bucket, where you’ve placed your bucket and pump and more. 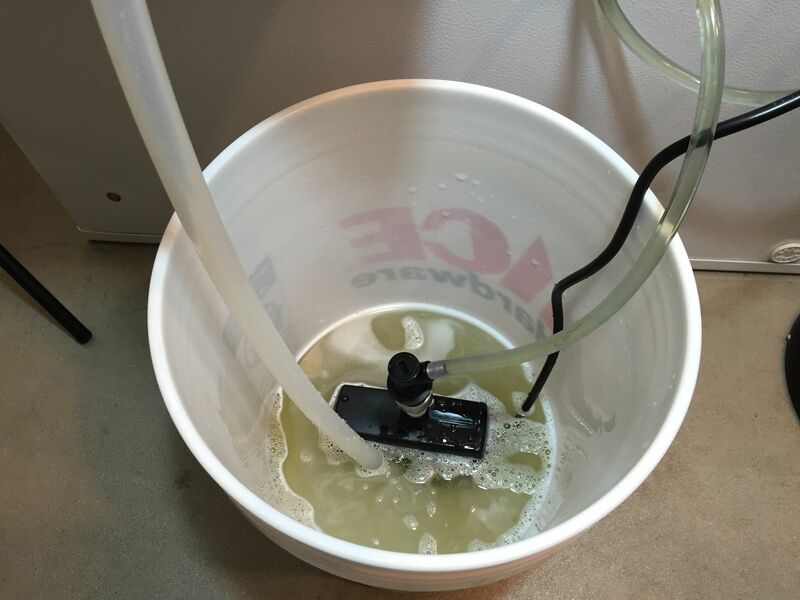 With my setup, this pump produces a nice steady flow of solution. Here’s the rinsing step. For rinsing, I just use another bucket. I no longer see a need to recirculate water. Just run a good bit of water through each line to flush the BLC solution. This design cleans your whole draft system. 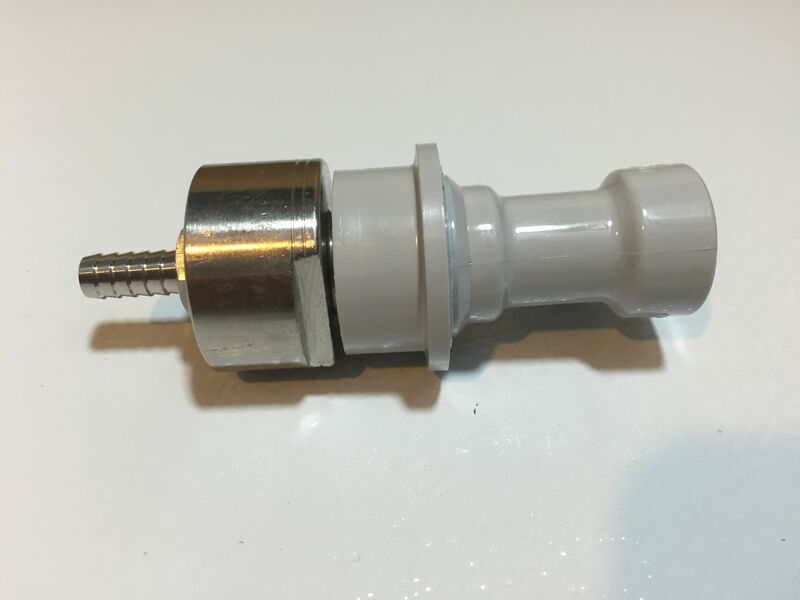 This design cleans the faucet, the shank, the quick disconnect and the tubing. Some designs that I’ve seen have you removing the beer nut and placing the hand pump apparatus directly on the shank. That’s some work disassembling and reassembling and it also skips a lot of your setup including the beer line and quick disconnect. Alternative for Pin Lock and Sankey Systems. The setup outlined here is for ball lock systems. I know of no similar Pin Lock carbonator caps or fittings. 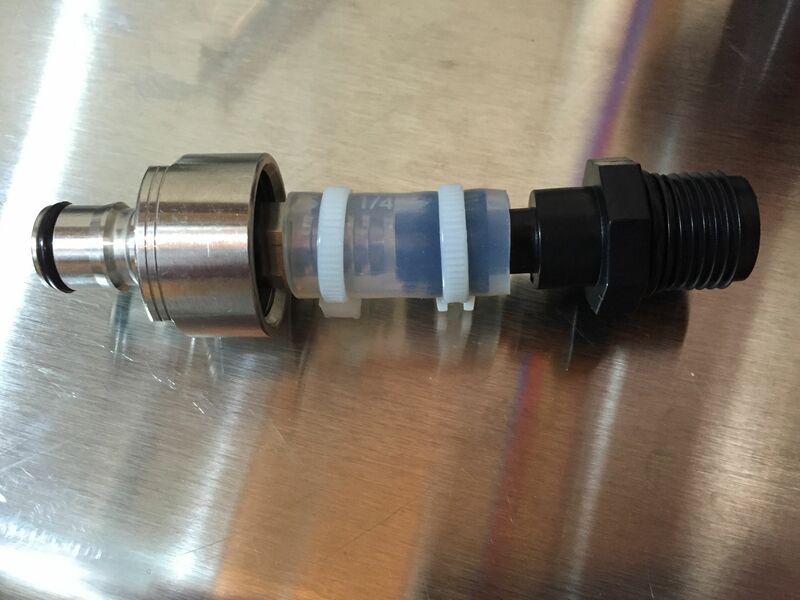 You could replace the SS Carbonator Cap with this 1/4″ Male Flare to 1/4″ Barb Fitting. 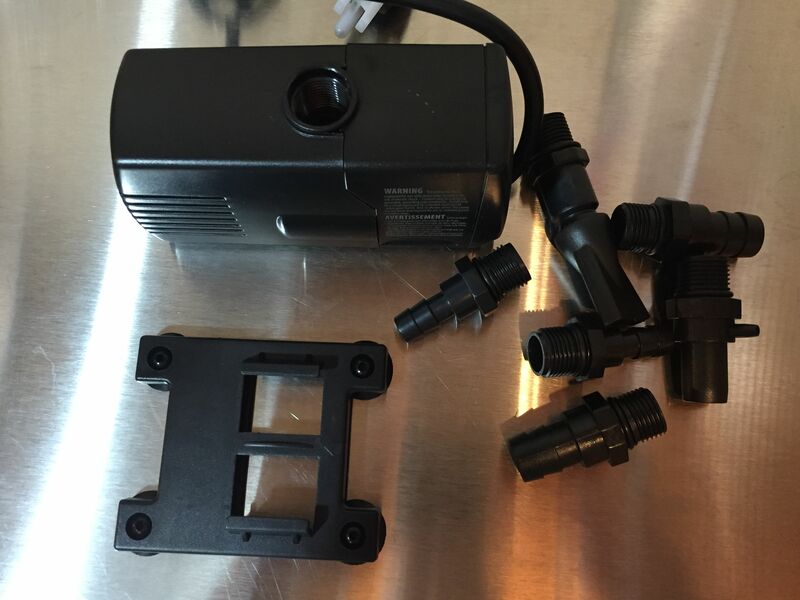 Remove your FFL based Pin Lock QDs or Sankey Taps and attach to this fitting and in turn the pump. 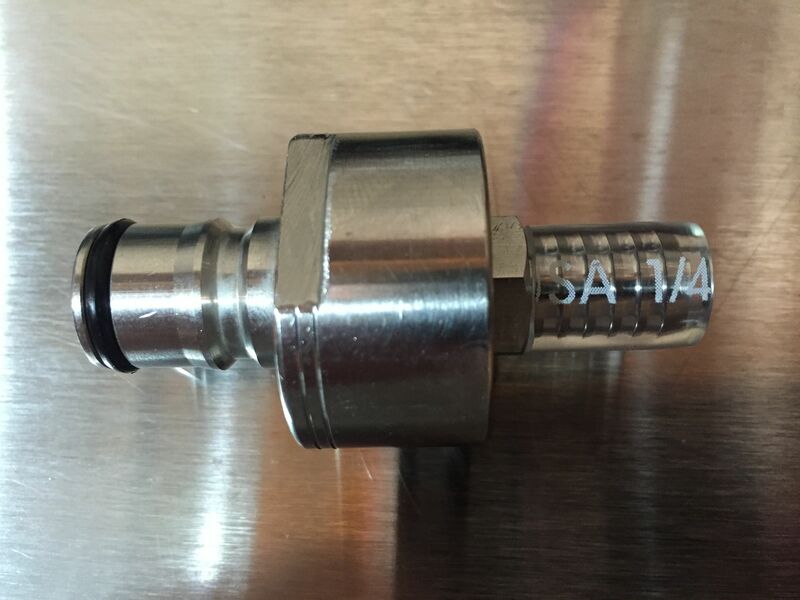 This should work for any setup that employs 1/4″ flare, (FFL) swivel connectors on beverage lines. I purchased the carbonator cap pictured in this build, from AliExpress. As you can see for the photos, it works with both gas and liquid QDs. That’s important for this build. Since publishing, I have received word back that the AliExpress offering no longer works with both gas and liquid QDs. See some possible options below. Specs change… Read the current description of these to make sure they are designed to work with both gas and liquid posts. 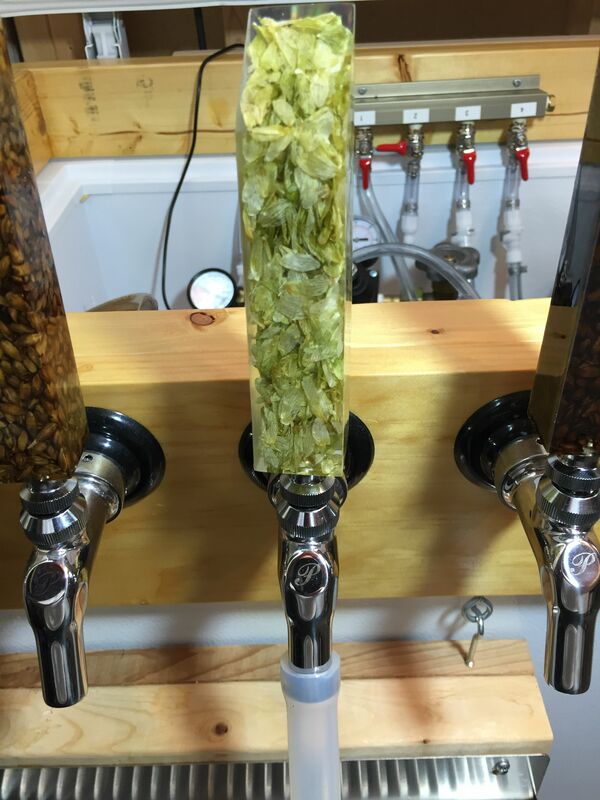 This entry was posted in Cleaning, Draft, Draft Top Picks, Homebrew Hacks, ig, My Kegerator, Projects, Pumps, Reviews & Top Posts, Sanitation, Top Posts, Videos on November 14, 2012 by admin. I use a similar pump and setup and found it’s MUCH easier to just push the cleaner/water/sanitizer up into the faucet and out the beverage tubing than to worry about hooking it up the other way around. I have a length of tubing I press over one of the plastic barbs that come with the pump, then push over the outside of my Perlick faucets. 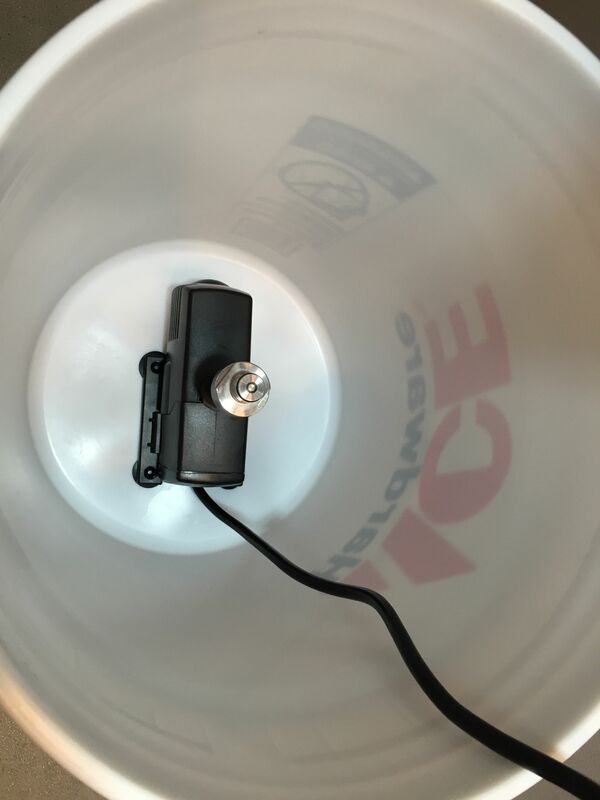 I remove the pin lock connectors from the swivel nut, put that end of the beverage tubing in the bucket, open the faucet and kick the pump on. Works like a champ. For the folks talking about using a chugger pump how are you feeding it? 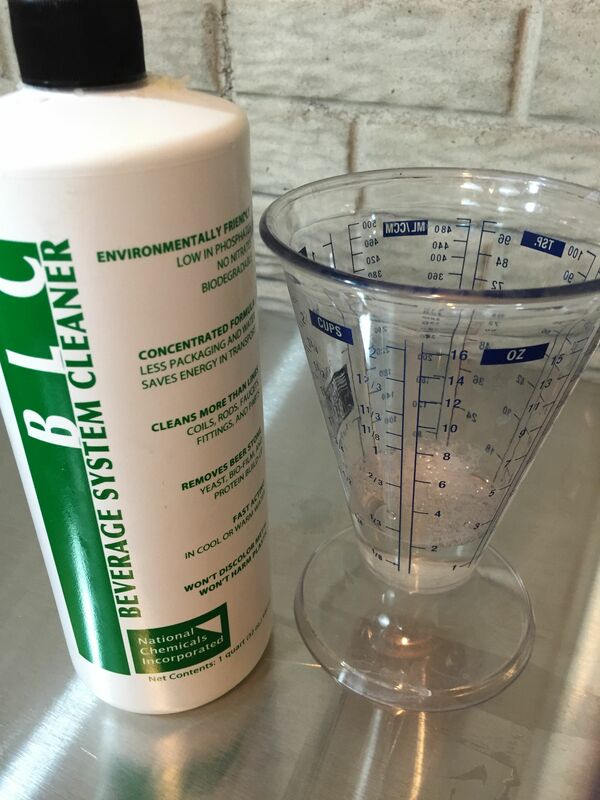 Are you using a pot filled with the blc as a vessel for the cleaner? I just can’t quite envision the setup. However I like the idea of daisy chaining together and cleaning them all at once. I’ve got 4 x 20’ lines so I need a good pump solution. If you’re talking about using the stainless steel carbonation cap with a pin lock QD, that won’t work. 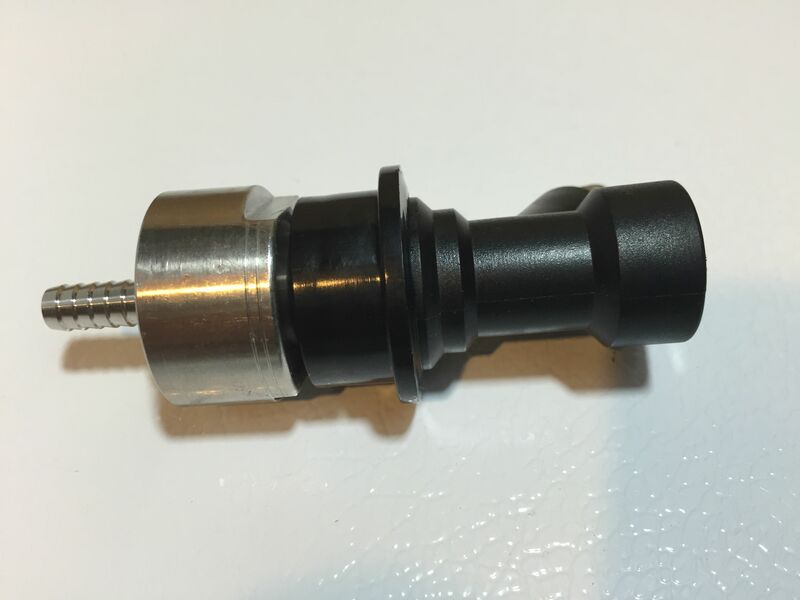 The caps are designed to work with ball lock connectors. And maybe connect faucets with silicone hose. I haven’t built my setup yet, but this is going to be my approach when I get around to it. I bought all the stuff to make this about six months ago and finally got around to using it. This thing makes life so easy. Hook it up, set a timer, walk away. Time goes off, switch taps, and repeat. Then just go through and do the same with water and santizer. Makes cleaning draft lines a sinch. Thank you for the guide, very well put together. By daisy chaining the taps in the front with my silicone tubing (open taps) and attaching the ball locks in the front, I’m able to clean effectively and efficiently. Follow up…. I also use my Chugger pump instead of going to Harbor Freight to buy a cheap pump. I can easily roll my Chugger over, hook it up with my stainless QD, prime it, and I’m cleaning in seconds. Can’t see anywhere confirming that this fitting would work on the usual corny ball lock fitting. I bought the recommended stainless carbonation cap, but my liquid QD doesn’t fully fit over it or snap the collar closed. Am I doing something wrong? Hmmm…. Did you get the one from Aliexpress? Do you know what brand of liquid QD you’re using? Is it CM Becker? I did pick up the one you linked to from Aliexpress, and the QD says CMB – GERMANY on it, so I take it that it is CM Becker. Well… the product description on that continues to say that it will fit both gas and ball lock QDs I would try another QD. If that doesn’t work… I would get with the seller and request a replacement. I went with the 396GPH version of the pump, and it’s unfortunately just about worthless with my setup. 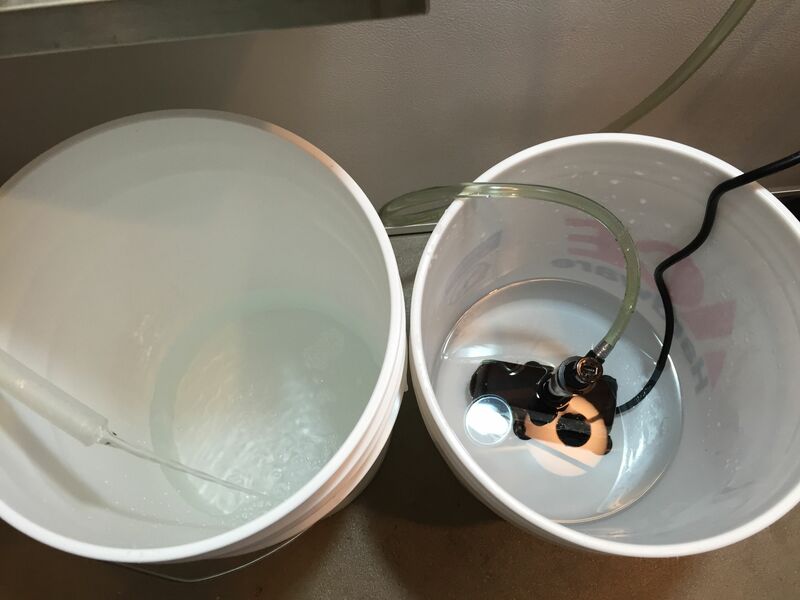 I have 10ft liquid lines, and using this pump with a bucket yields only a tiny trickle of water flowing through the tubing, not even enough to fill the 3/8″ line. Am I doing something wrong here, or is it really just not strong enough to move water that distance? Is the beer line filled? What kind of distance is there between the pump and the top of your shanks? Decreasing that distance should help flow rate? I too got the 394gph unit and my beer lines are 5 feet long. The flow is awful. I am not too impressed. Have you tried reducing the distance between the pump and the top of your shanks? My current build uses the 290 GPH version and I get good flow. I tried using the 132 gph version of this pump and the flow rate is pretty anemic if the beer line is elevated more than about a foot. I think it’ll work if I lift the bucket to be higher and closer to the faucets, but that’s not super convenient. I do something similar but use brewhardware mfl coupler to loop my beer lines together then just slide silicone hose over the shanks. Less part. I just soak the qds in the bucket. Hey John! I have a few of those, but haven’t tried them out yet. Great addition to the cleaning setup! That set up is what I was talking about in my post. 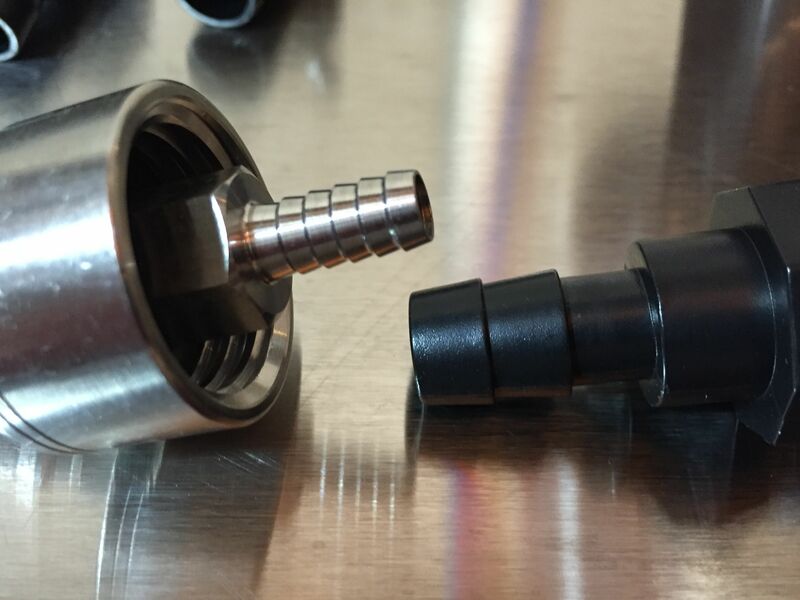 Does the stainless steel ball lock fitting come apart like the ones on a corny keg? Can the poppet be replaced? The 5/16″ barb fitting does come off and that reveals the inner workings of the QD, but it only exposes it, I don’t see where i can actually disassemble it.